Actual Things from Space: One Photo of 3 Moons #NASA #Saturn « Adafruit Industries – Makers, hackers, artists, designers and engineers! The image, published in February of this year, was taken in early December, 2015, by a satellite launched in October, 1997. Some things do come to those who wait. Wow! 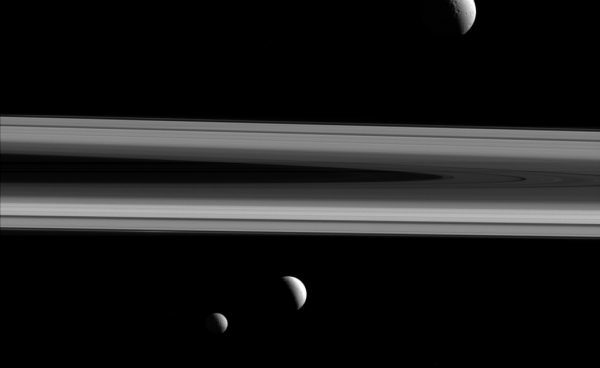 Three of Saturn’s moons — Tethys, Enceladus and Mimas — are captured in this group photo from NASA’s Cassini spacecraft.